if you will, is the story of the founder, Beth Overton, and the story of her midwifery career. And for her to tell this back-story would involve a fair amount of bragging, which of course would be awkward, not to mention inappropriate, for her. But if I’m writing it, I can brag on my wife of 39 years with impunity. So, I’m writing this story. It is where we began. [/pl_blockquote]Beth had a keen interest in childbirth and pregnancy from early childhood, but it was in 1996 that she formally began her training to become a professional midwife. At the time, there were no professional midwives in the area from whom Beth could receive proper training. So to receive proper training from qualified midwifery preceptors, Beth traveled. Actually, that’s an understatement. Beth traveled a lot! She enrolled in a midwifery study program, and also attended workshops and conferences every chance she got. And as it turned out, she got most of her clinical training through midwives who ran birthing centers. Most of these birthing centers were in Texas, though one was in Miami, Florida. As these birth center owners/midwives gave her the opportunity, Beth would travel to East Texas or the DFW metroplex area to train. She spent weeks at a time at these centers. In the case of Miami, she spent more than a month at that birth center. Each of these birth center owners/midwives provided their clients the option of home birth as well, but a lot of the birth training Beth received was in the birth center setting. So, needless to say, the idea of “one day” opening a birth center was one of Beth’s early dreams for Corpus Christi. She and our daughter Jessica (who is now also a midwife) would even drive by properties in Corpus and say to one another “That would make a nice birth center.” Interestingly enough, one of those “nice birth centers” they dreamed about was the very same little bungalow on Santa Fe that would become the first licensed birth center in Corpus Christi! But in the course of 14 years of Beth’s career as a homebirth midwife, the dream went from the front to the back burner, so to speak. And eventually, she almost let go of her dream entirely. Through this fortnight of years, Beth established a busy home birth practice. She trained apprentices, participated in the Association of Texas Midwives, first as a member, then as a Regional Representative, then as President. (She is currently serving yet again as a Regional Representative.) With all of her responsibilities, the hard work of opening a center seemed like a daunting task. And with the success of the homebirth practice, the dream of opening a birth center became a distant dream. But the strangest thing started to happen early in the year 2011. 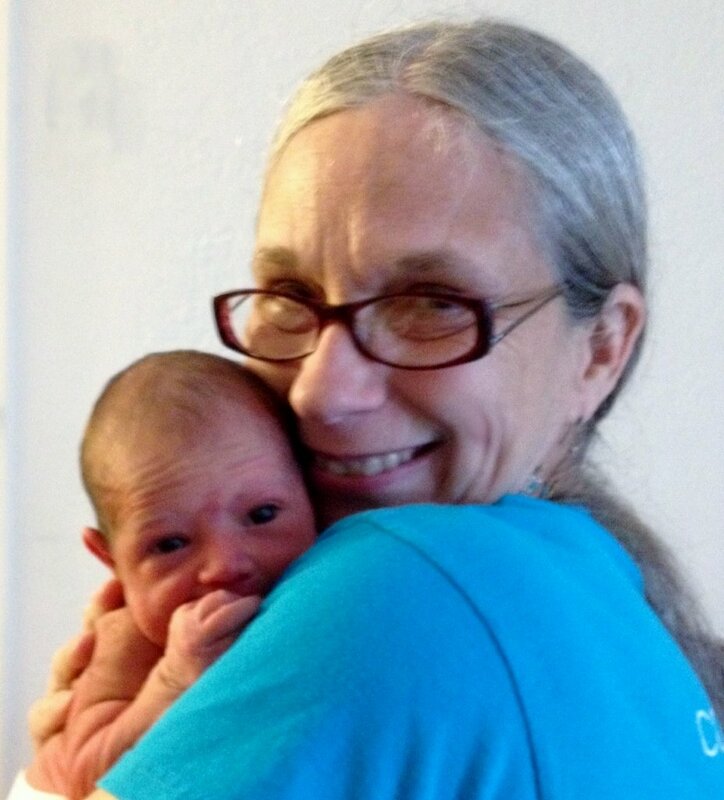 Several individuals began to challenge Beth and asked her to “pray about” opening a birth center in Corpus Christi. These individuals had no knowledge of the others; they had independently challenged Beth with this. Her inclination was to dismiss the idea as too much work, but she knew she could not honestly say she had prayed about it, at least not in a long time. So she began to pray. your research?” Beth took up my challenge and began to research what would be needed. Well, suffice it to say that the research was done, and the distant dream became a plausible idea, and then clearly the right direction to take. God started making provisions. Everything began to fall into place. The timing wasn’t always what we thought we wanted, but it always turned out perfect. The search for a location took a while. Several places were considered but eventually it was the little 1912 bungalow on Santa Fe that worked out to be the perfect match for our needs. It was pretty much move-in ready and had lots of charm. Even though it was small in size, there was absolutely no wasted space. So after several weeks of negotiating, the lease was signed and we moved in on April 15, 2012.The birth center’s license was granted in May of 2012, and the first baby was born on July 4th of 2012.